Today we were joined by high school students from Forest Hills Central and their elementary buddies from Ada Elementary for the first-ever Gerald R. Ford Museum Breakout! 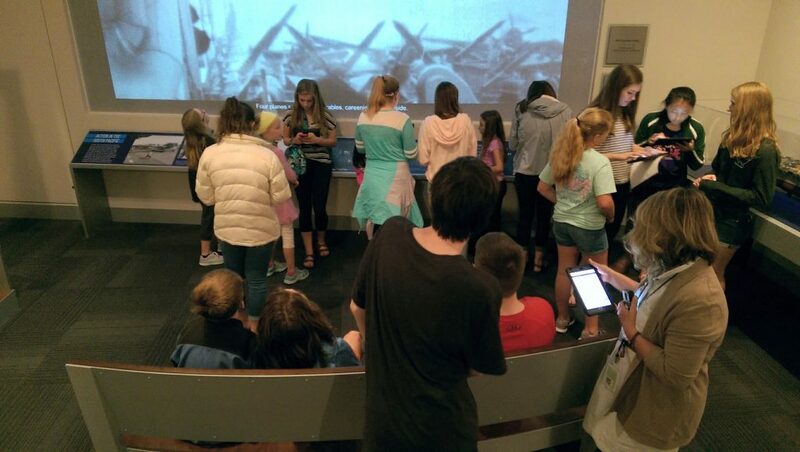 After separate classes in the morning, they partnered up with their buddies to solve a series of clues throughout the Museum exhibits, similar to the recent fad of “Escape Rooms” that has recently become popular. 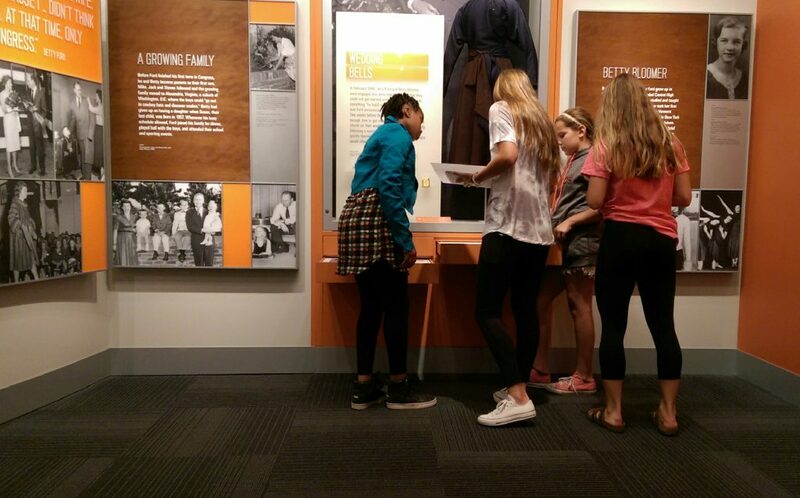 Students had fun working together to problem solve and search the Museum for clues…and learn a whole lot about President and Mrs. Ford.